Whether you're a business looking to expand your audience or an average joe wanting to share your thoughts - blogging can be a fantastic way to reach people. There are a ton of great things that come when you blog. There are also some down sides. Although I believe the good outweighs the bad, I thought putting the pros and cons side-by-side might be helpful. When I started this blog I was just going to keep it a hobby. I never realized how much time and energy it takes to maintain a blog. Blogging is constantly evolving, growing and changing. I've been maintaining a website/blog for over 7 years and I still feel like I have no idea what I'm doing at times. SEO, coding, wordpress, social media, formatting. It's all still completely new to me because nothing ever stays the same way for long in the internet world. When I first started this blog I had maybe 10 people reading it, most of those people were family members. Now with 150+ followers on twitter, 70+ followers on bloglovin and 180+ followers on pinterest, I get extremely stressed when someone asks me when I'll be posting next. And those numbers are tiny compared to some blogs. I can't imagine the pressure from thousands of readers. This is something I never would have thought of when I started my blog. As I get more readers and followers I'm always surprised at some of the comments people make. I've realized that I do tie many personal experiences and stories into my writing, and that can be a great thing when you want your reader to feel like they really know you. However I've found that sometimes people forget they don't ACTUALLY know you, and sometimes people cross the line of being friendly. I've met some amazing people through blogging communities and just posting on each other's blogs. Not only is it good for networking purposes but it's also great to talk to people in other states and even other countries. The internet helped make the world incredibly small and it's amazing to be able to connect with people I never would have met in everyday life. I really do enjoy writing. Whether it's about my weekend or lists like this post, I found I have become a better writer and better at communicating. Just by writing a little every day I feel more relaxed and less stressed. Many people make the mistake thinking you have to be an english major or author to have a good blog, and it's not true. A twelve year old could have a blog and people would read it. Writing is great and I'm glad I have a specific place to put all my thoughts and ideas. I don't make much from my blog. Actually at this point I'm probably in the negatives from paying for a host, domain name and wordpress theme. However, by just having google adsense and a couple affiliate links, I do make a little money from this blog. When you break it down and do the math, I probably make around 5 cents and hour while blogging, but I started this blog as a hobby, not a job. It's nice to get a little money from something I enjoy doing. As my blog grows, I end up making a little more money as well, so it is a pro. I absolutely love making graphics, banners, logos and layouts. With my blog I get to make it look and feel exactly the way I want. I could change the style every day if I wanted. I love knowing how to do some basic design and coding because I love doing it. Even though techniques, technologies and ideas are always changing, I have learned a ton of skills from blogging. I know basic coding, basic design, basic SEO and all kinds of marketing. All of it I taught myself from trial and error. Most of the skills I've picked up I will never be taught, even as a marketing major. When I leave college and go find a real job, I will have a ton of skills to add to my resume that other college grads won't have. I also have learned how to adjust when technology changes, it's helped me learn how to keep up with trends and stay updated on the latest skills. 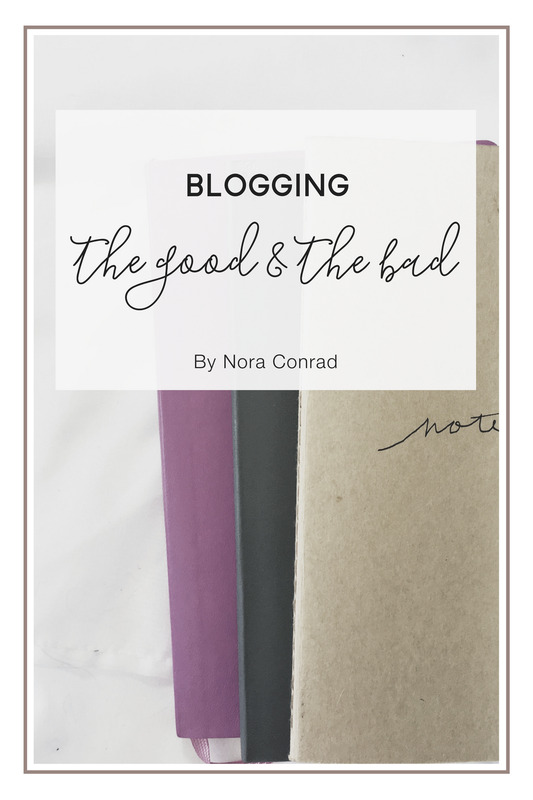 Even if you think you have nothing to write about, I still think everyone should make a blog. It's a great way to improve your skills, get creative and meet people. Even if no one reads your blog, it's like a journal. It can be fun to go back and look at how your life has changed.